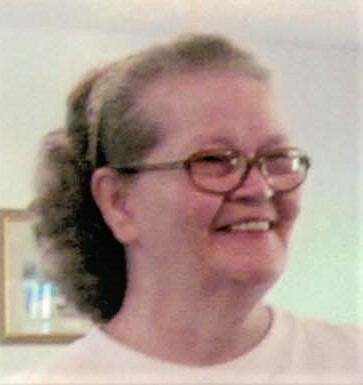 Edna Blankenship, 71, of Stopover, KY, passed away on Tuesday, November 20, 2018 at her residence. She was born September 2, 1947 at Stopover, KY, a daughter of the late Earnest and Oma Wolford Blankenship. In addition to her parents, she was preceded in death by one son: Will Malcolm Blankenship; one granddaughter: Angel Vandyke; two brothers: Ralph & Alfred Blankenship; three sisters: Sadie, Ethel, & Maggie Blankenship. Edna was a homemaker and a member of the Jamboree Church of God. She enjoyed working crossword puzzles in her spare time. Edna loved her children dearly. They called her “The perfect Mommy.” Edna was also a loving wife, sister & grandmother and she will be missed by many. Those left to honor her memory in include her husband: Will A. Blankenship of Stopover, KY; seven daughters: Connie (Ralph) Young of Homecreek, VA, Carol Sue Hurley of Stopover, KY, Anna (Mack) Brown of Big Rock, VA, Laura (James) Vandyke of Stopover, Patricia (Luther) Adkins, Inis Blankenship, Betty (Roy Lynn) Hunt, all of Stopover, KY; two sisters: Vernie (Jesse) Blankenship of Stopover, KY, Sally Harman of Belfry, KY sixteen grandchildren; ten great grandchildren; and a host of family & friends. Funeral services will be conducted at 1:00 P.M. Friday, November 23, 2018 at the Jones & West Funeral Home of Phelps, KY with Reverends: Larry Blackburn & Marvin Casey officiating. Burial will follow in the Blankenship Family Cemetery, Stopover, KY.
Visitation will begin at 6:00 P.M. Wednesday and Thursday at the funeral home with services Wednesday night at 7:00 P.M. Arrangements are under the direction of the Jones & West Funeral Home, Phelps, KY. The guestbook may be signed at www.joneswestfh.com.